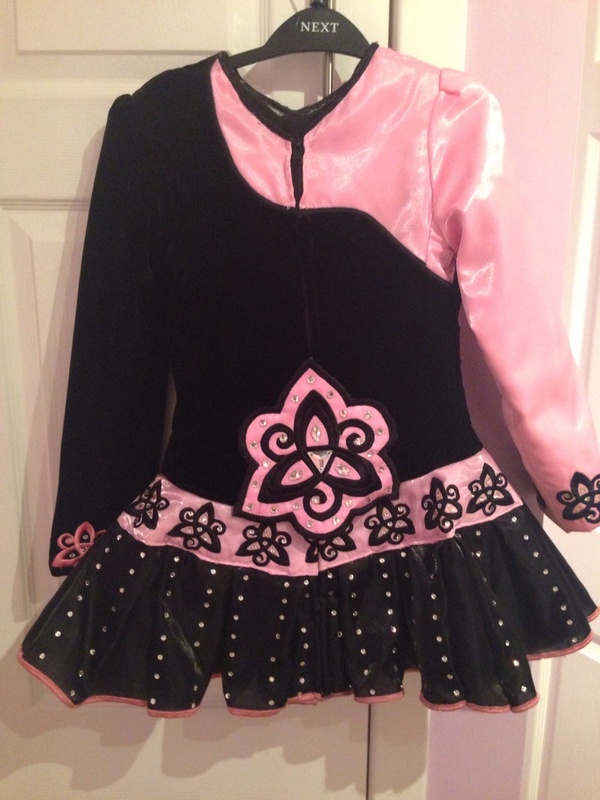 Stunning 1 year old 2 tone dress with super stage presence worn by 11 year old open dancer. 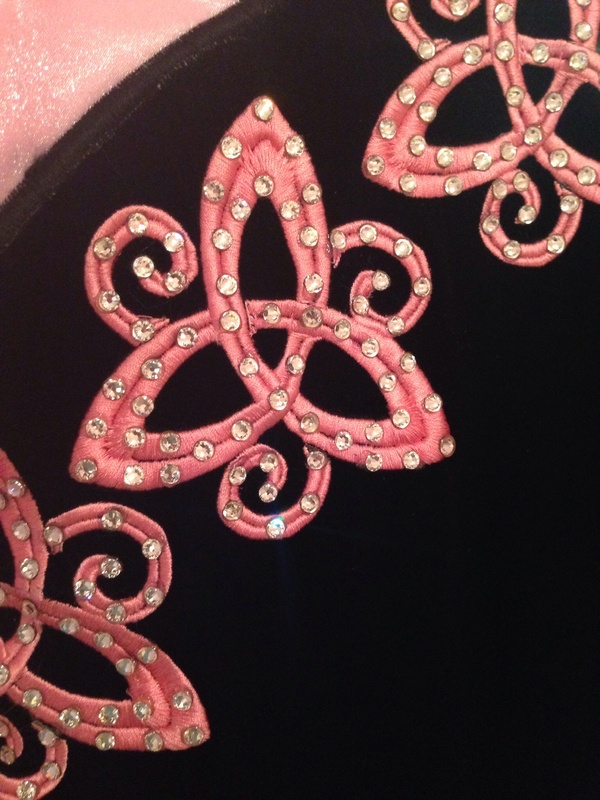 Black velvet & pink satin. Sadly selling due to growth. 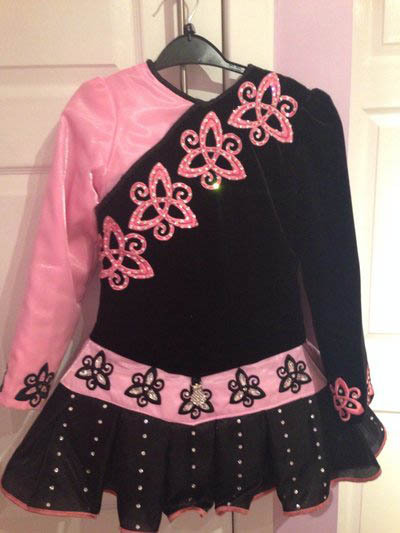 Both bodice & skirt covered crystals which give it a striking appearance on stage. Matching pink satin pants available. 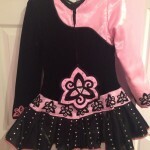 Spare 1-1.5 in for let down of sleeves and skirt.